ODE Fact Sheet distributed by ODE Office of CTE. What is Career-Technical Education? (Click here) This paper provides basic information on career-technical and adult education in Ohio, including the different delivery methods and types of programs available. 2019 Policy Paper - This paper provides information on the impact CTE has on Ohio's economy and jobs. 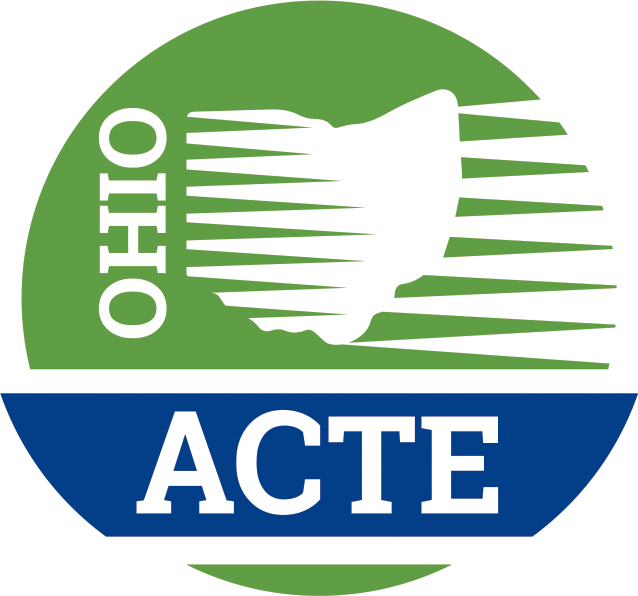 Developed by leaders in the CTE Community and Ohio ACTE, this paper also has specific recommendations and talking points to help keep CTE a vital part of Ohio's public education system. It is meant to be a leave behind for visits with legislators, especially during the Legislative Seminar. Every other year, Ohio ACTE hosts a student showcase of programs in the Ohio Statehouse Atrium in Columbus. Students are invited to display their career-technical programs and legislators and others are invited to drop by and visit the students and learn more about career-tech and what the students are learning and their future aspirations. Click here for information on the 2019 Showcase. Adult Workforce Education 2010...Economy Driven...Life Changing. This 26-page booklet provides information on Ohio's Adult Career Centers, including examples of business partnerships, student success stories and statistics.